We want everyone with a mental health problem who visits their GP practice to get the support that best suits their needs. For most of us, our local GP practice is the first place we’ll go when we’re unwell. It’s there to help us with our mental health as well as our physical health. 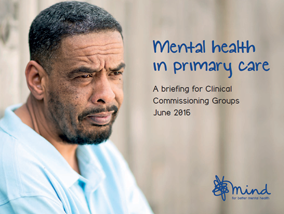 Around one third of all GP appointments are related to mental health. However, it’s not always easy having that first conversation about your deepest feelings with your GP, someone you may hardly know. That’s why Mind have made a short film and guide on how to make the most of the few minutes you have with your GP or practice nurse. 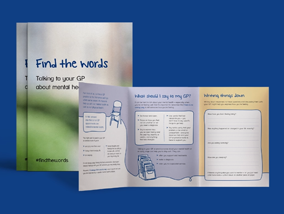 Watch Mind’s animation on how to find the words to talk to your GP about your mental health. Be honest and try to be open about the difficulties you are currently facing. Focus on how you feel, try to explain how you have been feeling over the past few weeks or months. Try to not worry that your problem is too small or unimportant, everyone deserves help and your doctor is there to support you. If you are feeling nervous, let your doctor know. If you have a few things you wish to discuss, make a longer appointment (you’ll need to do this when you are booking the appointment). Think about taking someone with you for support, this can be a close friend or a family member, anyone who you feel you can trust.